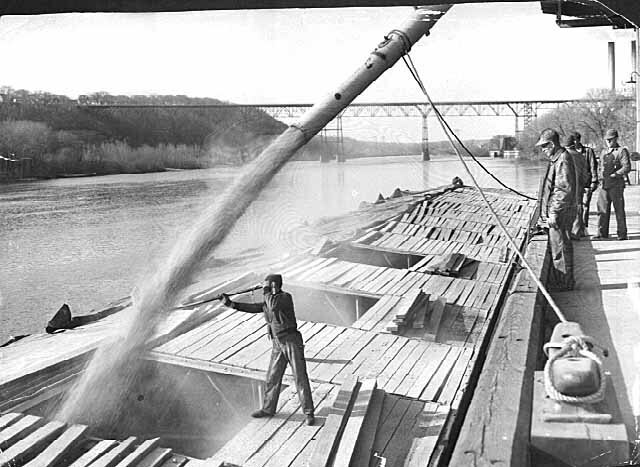 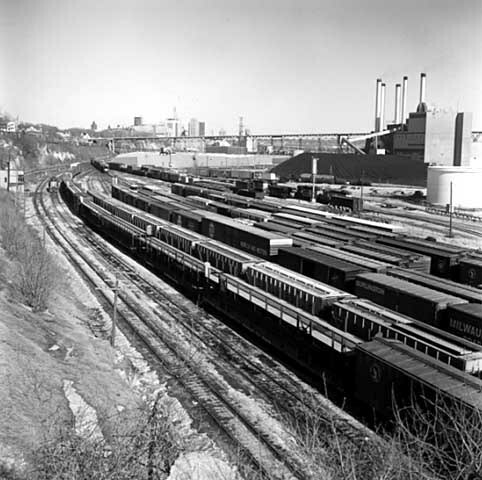 Farmers and their allies supported improving the river’s shipping capacity once it became clear that railroad dominance meant higher shipping rates. 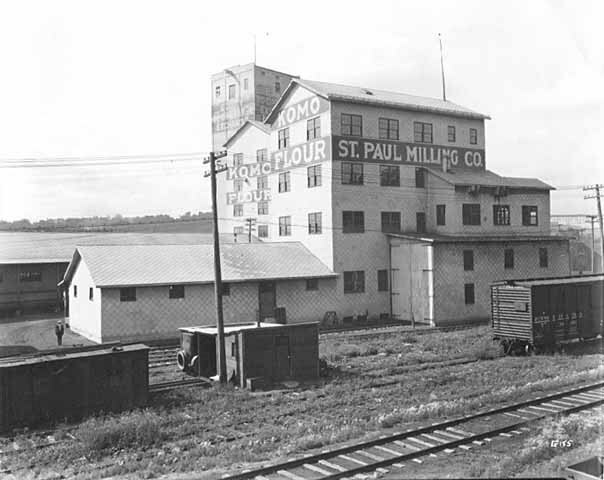 The Equity Co-operative Exchange was formed in 1911 and built its first grain elevators on the Upper Levee in 1915. 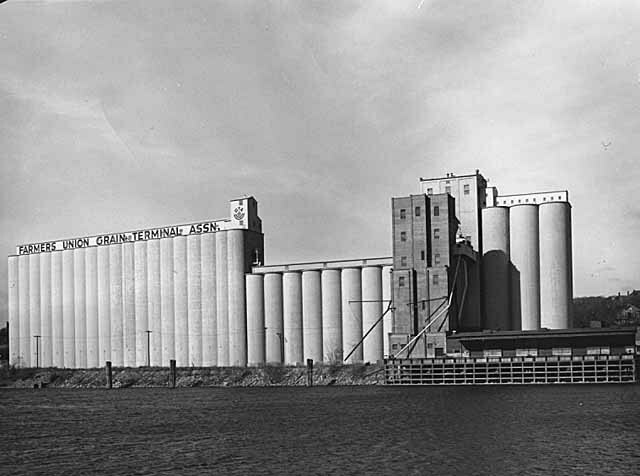 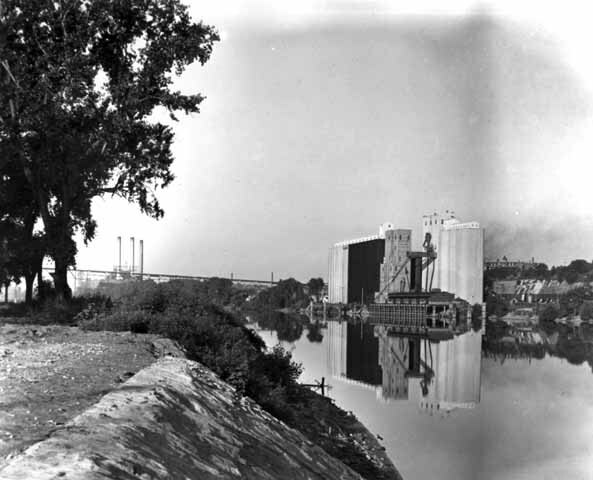 The Minnesota Farmers Union took over Equity and expanded the Upper Levee elevators (1927-31), eventually including 60 grain silos, a mill, the head house for loading grain onto barges, and the sack house for bagging grain. 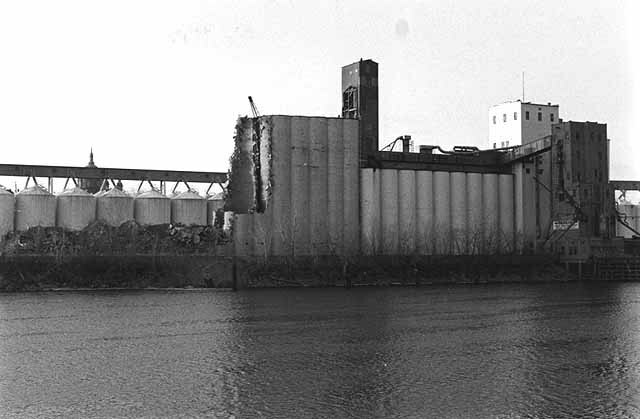 Restoration of the latter two buildings, under the name City House, was completed in 2009. 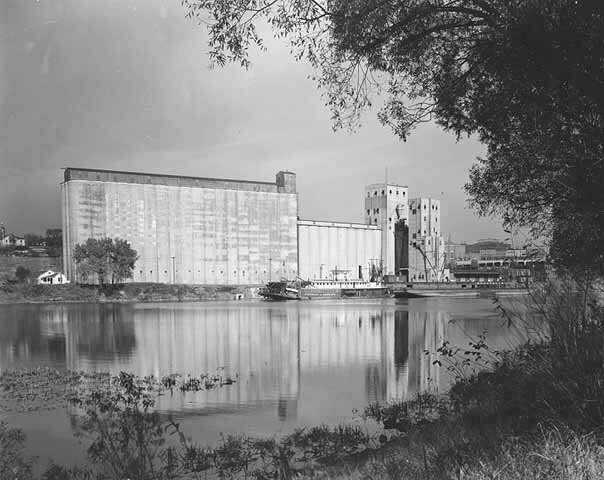 City House is now listed in the National Register of Historic Places and has been restored as a park pavilion and event venue, situated on piers and cantilevered out over the Mississippi River. 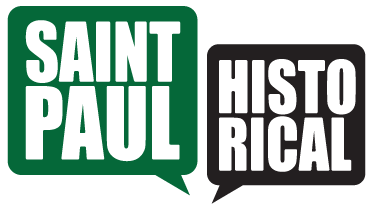 Jim Sazevich, “Origins of City House,” Saint Paul Historical, accessed April 18, 2019, https://saintpaulhistorical.com/items/show/49.